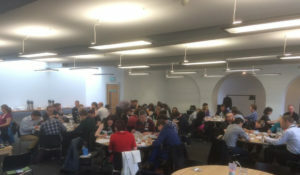 These are user experience techniques that I’ve been using and training colleagues in for years, but this is the first time I’ve bundled them together into a longer programme of courses designed to give teams the ‘toolkit’ they need to collaborate productively and establish a shared understanding of their customers. These UX techniques have most recently been classified as ‘Design Thinking’. They are straightforward processes that facilitate creative, user-focused products and feature development, and can be done by anyone. This isn’t the domain of specialist designers and ‘creatives’. In fact, the best solutions come from collaboration between all stakeholders in a development – sponsors, project managers, designers, content specialists, marketing professionals, developers and everyone else who usually contributes in some way to a project. When is this training happening? I’m waiting for final confirmation of the extra resources needed to ramp up provision of this training, but expect to be announcing dates for early 2017 soon. I ran part of this training for the University of Aberdeen last month and am piloting the full three day session with colleagues in the University Website Programme plus a few extras before Christmas. If you’re interested in the training for 2017, let me have your details, and I’ll be in touch. The in-person training I have planned will take place over 3 days, with each day consisting of 3 hour morning and afternoon sessions. One element I’m still looking at is whether this will be 3 days straight, or split over a series of weeks. While the former is more beneficial for learning, the latter may be more convenient to fit in with day-to-day commitments. It’s one of the things I ask about in the registration form. The sessions are highly collaborative and participatory, with the emphasis on participants learning by doing. The practical activities are interspersed with short seminars, and you’ll leave with lots of links to additional reading and resources if you want to learn more. Sessions are a mix of seminar and hands-on activities, with the emphasis on practical experience. 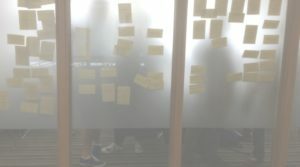 Day 1: Agile usability testing: How to gather swift user insight and prioritise collaboratively, using techniques that integrate easily into an agile development methodology. Day 2: Collaborative design & prototyping: How a multi-disciplinary team of stakeholders can contribute to the prioritisation of potential solutions, their design and validation with target user groups. 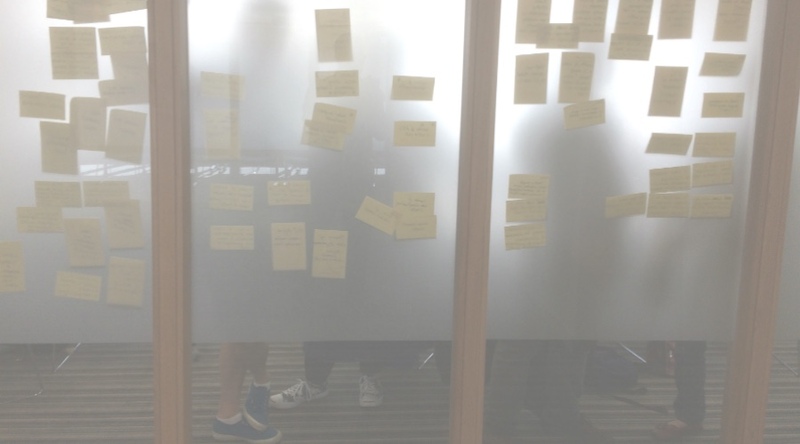 Day 3: Personas and experience mapping: How exposure to target users and collaborative exercises can produce tools to summarise your understanding of a design challenge and facilitate better ideas and solutions. Earlier this year, the University invested in a license for online learning provider, Lynda.com, which allows all staff and students to access a wealth of training and skills across a fantastically broad range. Needless to say, I’ve been looking very closely at the provision in the field of user experience. There is lots of great stuff available on Lynda.com and I’ll write a blog post full of recommendations soon. Stand out sessions I’ve encountered so far cover an introduction to Design Thinking. So good, in fact, that provide the perfect lead in to my classroom-based course and I’ll be recommending that all trainees watch these videos first. This course outlines the benefits of design thinking; giving you confidence about how you can do this for yourself, bringing colleagues from a range of disciplines along with you, allaying concerns of senior managers and stating the benefits over existing processes. This course is a more practical guide to applying design thinking in your own work; stepping through the process of identifying an unmet customer need that you can develop your product around. Running through practical collaboration and user insight techniques, it concludes with a look at the high-level planning that you can perform as a result of following this approach to help ensure what is ultimately delivered meets both business and user needs. Much of what is covered in the training I’ve developed leads on directly from the latter course, giving you the opportunity to put the techniques you’ve seen in the video into practice in a safe and supported environment. If you’re a member of staff or a student at the University of Edinburgh, you can register and access all Lynda.com resources for free. If you’re not a member of the University of Edinburgh, and can’t get access to Lynda.com resources, I recommend an article that Chris wrote recently to promote these courses, and another great learning resource (totally free) that I’ve been promoting to colleagues for years: UX Apprentice. The University is engaged in a programme of work titled: Digital Transformation and Service Excellence. The aim of this collection of projects is to enable key areas of the business to engage more effectively with important audiences through digital services that are useful, usable and efficient. This will only be successful if approached in a user-centred manner that facilitates collaboration across the organisation and between disciplines. I’ve long offered training on specific techniques, and while resourcing priorities have meant provision has been sporadic, whenever I’ve promoted sessions they’ve been oversubscribed with excellent feedback. The demand and interest within the University is there. Provide a common language and a common level of understanding to colleagues with a range of roles and backgrounds. Pull together a range of activities and techniques into a coherent process that can be successfully followed by any project team without necessarily involving a user experience professional. A toolkit, if you will. 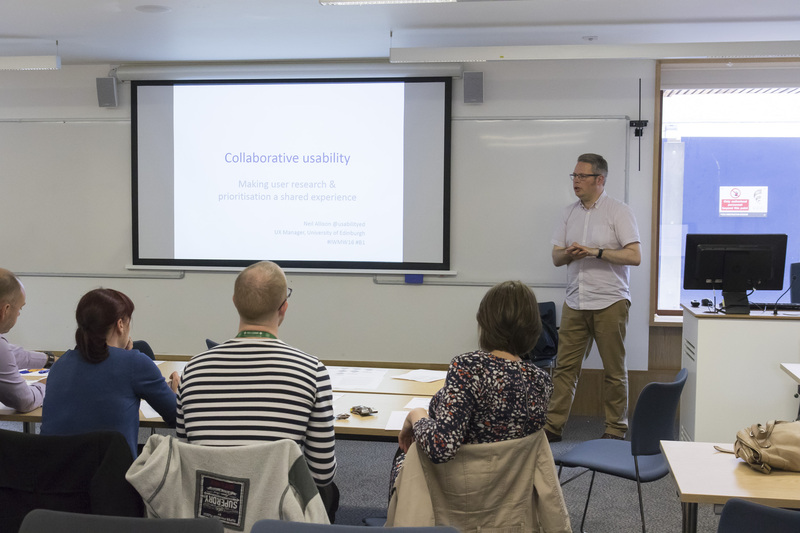 Support the embedding of user-centred design, thinking practices in future development projects that involve priority user groups interacting with University services and systems. Demonstrate the ease and value of implementation of these techniques. 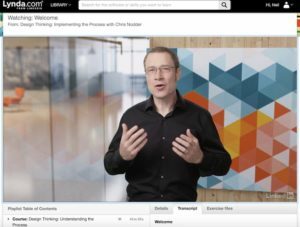 If you think UX techniques and design thinking is something your team should be adopting, I strongly recommend you explore the Lynda.com courses by Chis Nodder that I recommended. If this all sounds good, and you want to attend the training I’m planning to deliver in 2017, register your interest so I can get in touch with you directly. If you just have general questions, drop me a line or leave a comment on this blog post.